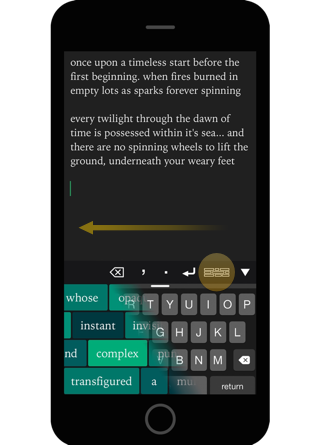 Destroy writer's block forever with four sliding lanes of intelligently scrambled text. Quickly switch between keyboards with a tap or a swipe. Turn creative sparks into flames. Collect your favorite lyrics, articles, stories, etc, and convert them into Palettes. 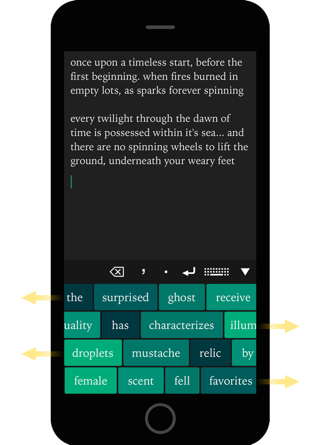 Mix and match Palettes to control what words appear in the scrambled word sliders. Bypass your ego and discover what you didn't know you wanted to say.